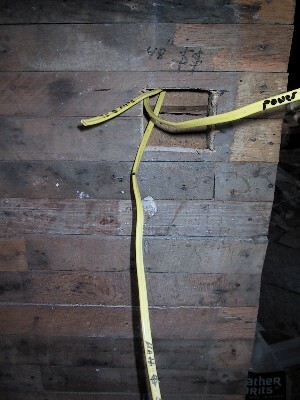 This is the rough-in wiring of the house. The switch plates and lights will be added when we reach that point! 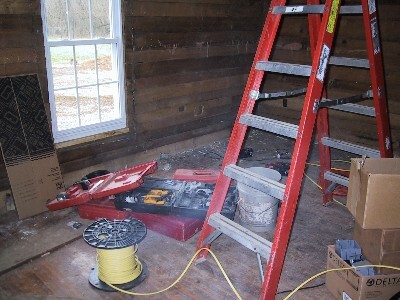 Bringing in the tools and equipment to rewire the house. 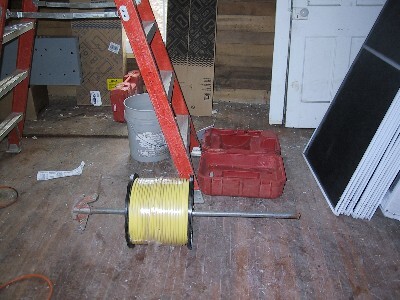 More equipment and tools for rewiring the house. 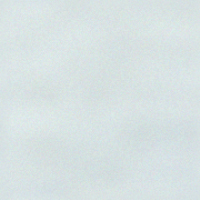 LEFT: After a day's work, still more to go! 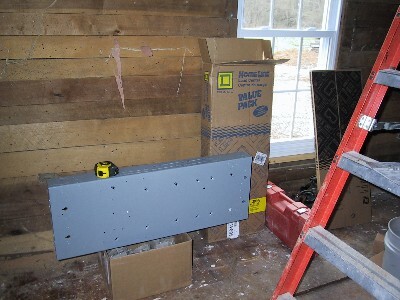 RIGHT: The panel box is installed and waiting for the wiring to come back to hook it up. 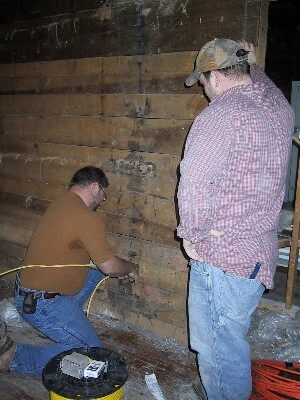 Shannon and his helper discuss their views on rewiring old houses! 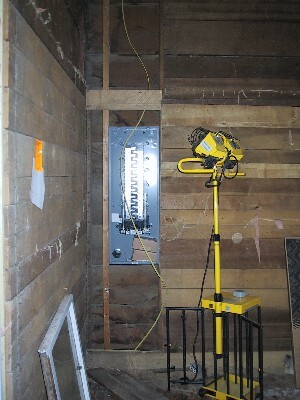 Wiring for the bathroom light switch. 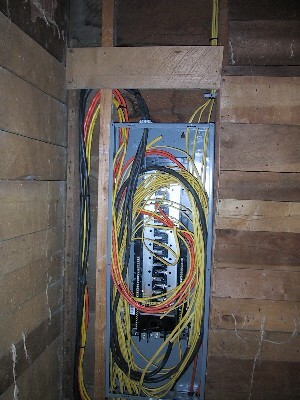 Electric panel after all the wires have been run thru the house.